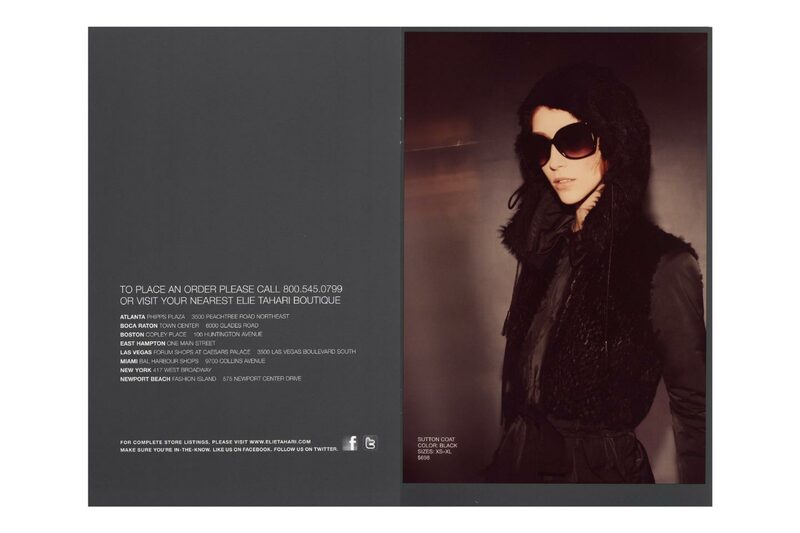 Following the success of the Fall/Winter 2010 print catalogue and campaign. 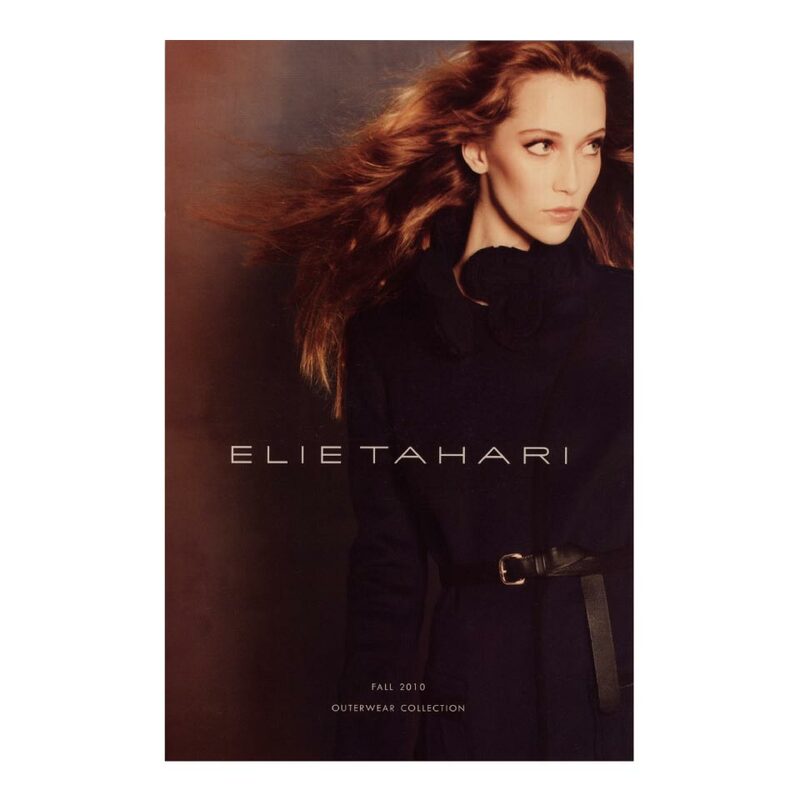 Elie Tahari asked us to create a catalogue for their Fall Outerwear Collection. 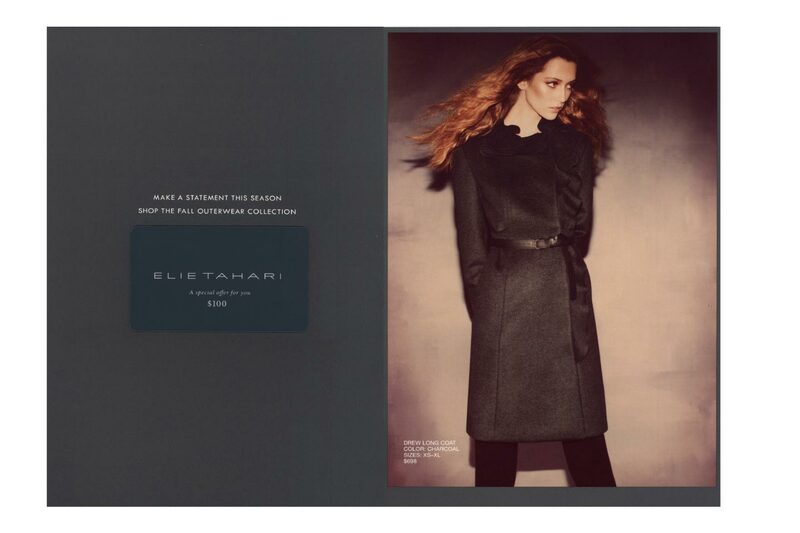 For us, this collection felt fearless. 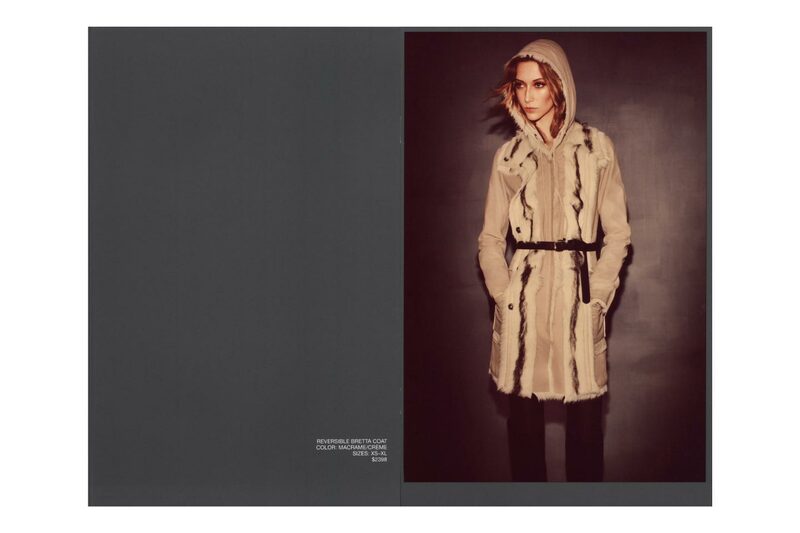 To capture that sense, we engaged fashion photographer and friend, Guy Aroch, to shoot dark-haired beauty Alana Zimmer. 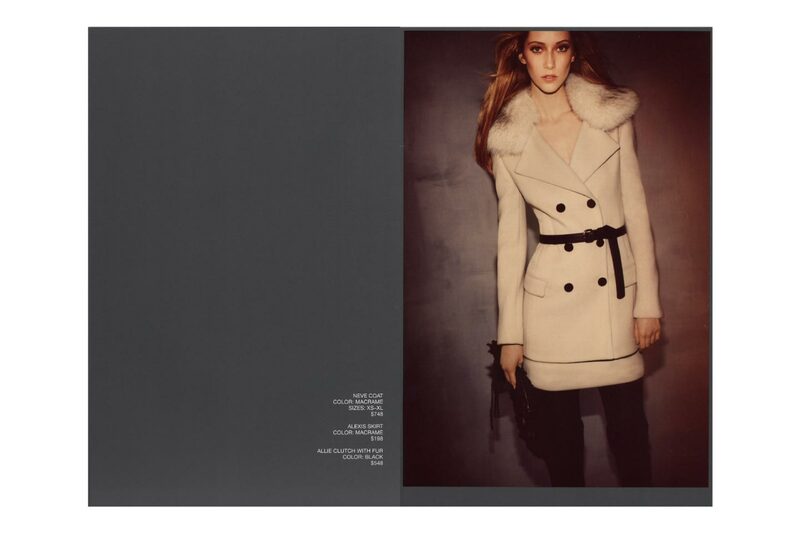 The shoot resulted in a range of bold and seductive images for the season’s key pieces.